Tulum National Park is an ideal location to see Maya archeological ruins and experience the Riviera Maya. 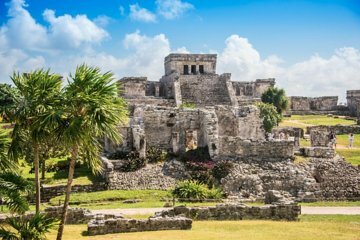 This tour saves you the hassle of getting there from Playa del Carmen and provides a guide to enhance your exploration of the ruins perched above the sea. Continue your journey afterward with a visit to a cenote swimming hole in Cenotes Park Hidden Treasures.